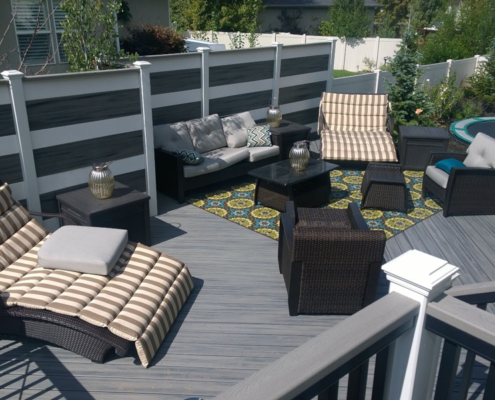 Check out our fence installation guides. Whether it’s your first time installing a fence or your hundredth, we can make it simpler. 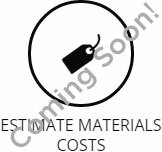 Looking for decking materials? We have both wood and composite products. We’ll also take care of your drainage and framing needs. 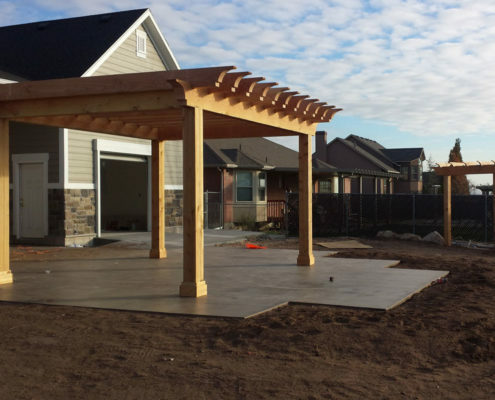 Save yourself some time and buy pre-cut pergola kits. We’ll measure, cut, and bundle, all you have to do is install! Need some inspiration? Our project gallery features hundreds of projects. Fences, decks, and everything in between. 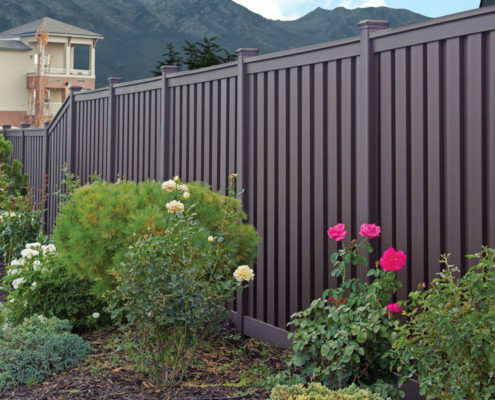 Trex Seclusions is our most popular fence product. 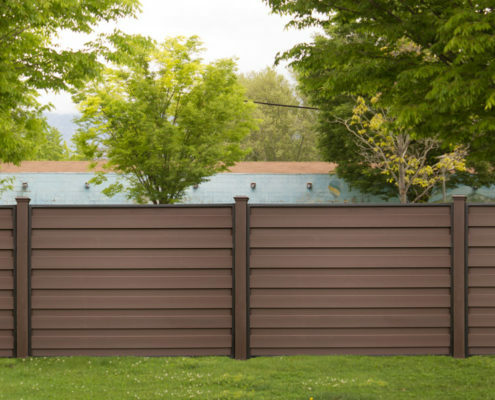 The durability and natural appearance make it the premier fence of the industry. 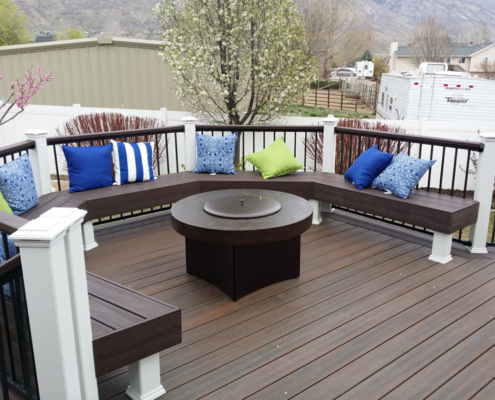 Trex RainEscape is your deck drainage solution. 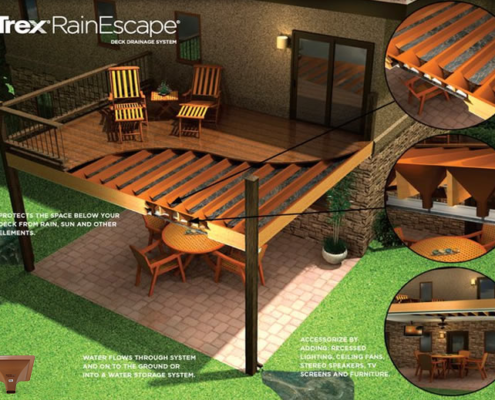 Made for Trex Decking, RainEscape is the perfect way to keep your space dry. Perfect for second story decks and easy to install. Deck looking a little bare? Add some Trex Furniture. 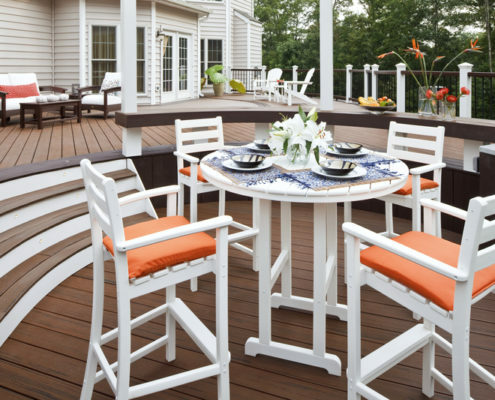 Tables, seating, even planters will make your deck complete. Looking for some shade? 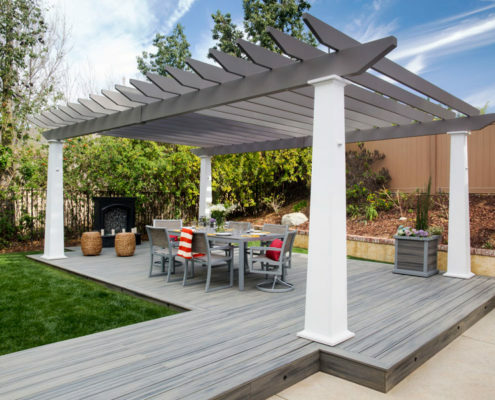 Our Pergola Comparison Chart will help you decide what material is best for you. 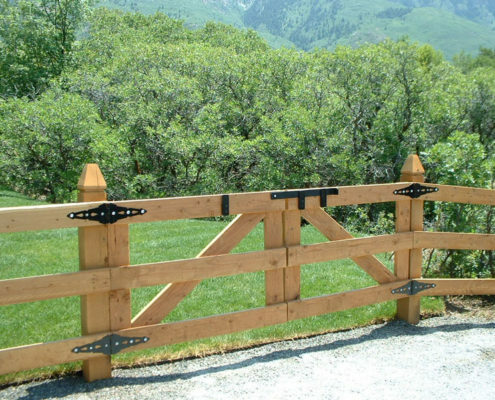 We’ve got a wide range of ranch and farm fences. Whether your corralling animals or defining boundaries, we’ve got a fence for you.